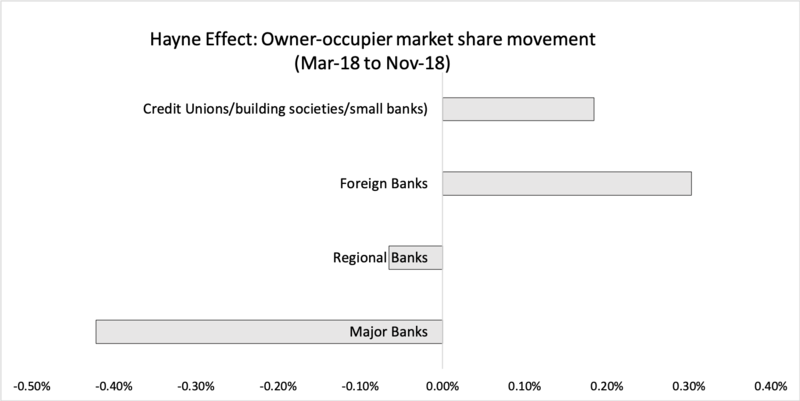 Between March and November 2018, the home loan market share of the Big Four banks declined, and mid-tier banks, foreign banks and credit unions, building societies and small banks enjoyed increases in market share. It would be easy, but incorrect, to attribute this top-level change solely to the Royal Commission into Misconduct in the Banking, Superannuation and Financial Services Industry. And it’s true that one of the effects of the inquiry has been a significant drop in the public’s level of trust in the banking sector (Chart 1). The trust score is calculated by asking people to rank their trust in an industry on scale from zero t o10, where zero is complete mistrust, and 10 is complete trust. A score of six or higher denotes a level of trust. 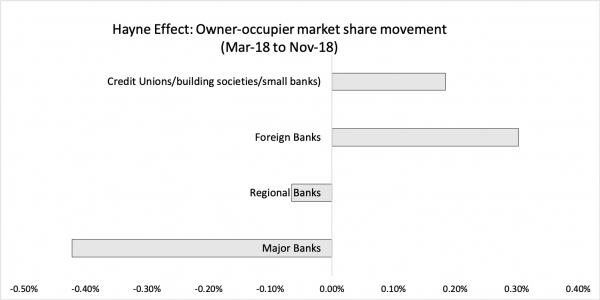 But the headline market share numbers mask a critical divergence in investor-loan and owner-occupier markets, driven by two separate factors. Chart 2 shows that between March and Nov 2018 the overall market share of the Big Four contracted by 54 basis points, while mid-tier banks lifted by 17 basis points, foreign banks by 22 basis points and credit unions, building societies and small banks by 15 basis points. Chart 3 shows that in the investor loan market the Big Four banks’ loss was greater than the headline figure, at 68 basis points. 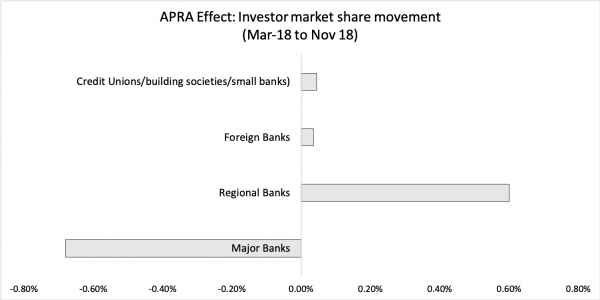 It was picked up in the main by regional banks (60 basis point market share increase) and to a far lesser extent by foreign banks and by credit unions, building societies and small banks (each sector picking up a 4 basis-point market share gain). • For interest-only loans, an assessment of serviceability for the period over which the principal and interest repayments apply (in other words, excluding the interest-only term). The influence over this segment of the home loan market might be described as the “APRA Effect”. The impact of the royal commission, or the “Hayne Effect” is being felt in the owner-occupier segment of the market. 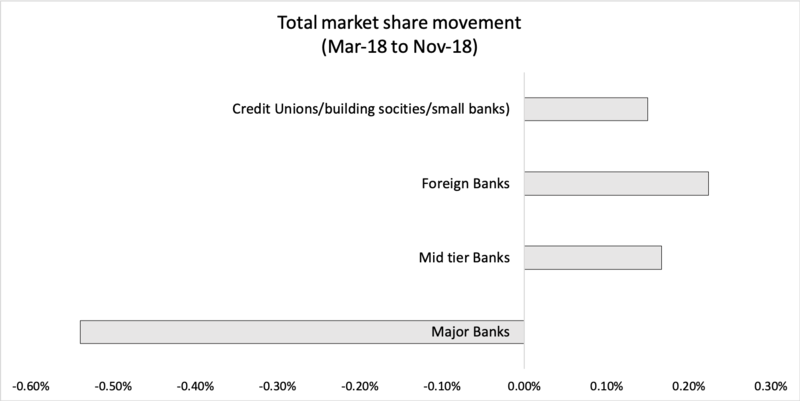 Chart 4 shows that here the Big Four have lost market share primarily to foreign banks and to credit unions, building societies and small banks. This is a result that can be related to the royal commission. It has made banks scrutinise applications more closely, particularly around calculating and disclosing living expenses, which has driven more consumers to brokers. Brokers’ market share has increased from 55.3 per cent in March 2018 to 59.5 per cent at the end of the September quarter. The royal commission has already had an effect on a major segment of the home loan market, and is due to release its final report and recommendations on February 1. 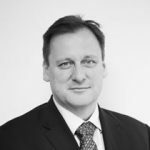 Its recommendations, if enacted by government, and along with the prospect of increased litigation action by the Australian Securities and Investments Commission (ASIC), will continue to make it more difficult for borrowers to get a loan, leading to a further increase in broker market share. 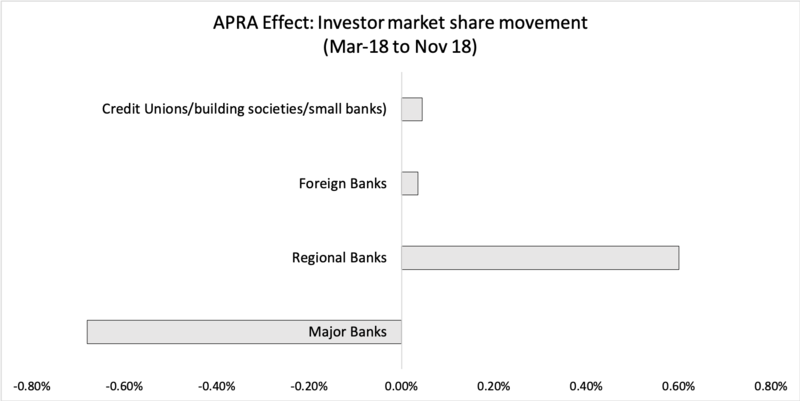 Continued intense competition on owner-occupied pricing will continue, along with rebates as major banks look to halt further market share decline. The royal commission may recommend introducing flat fee for broker commission, but we expect this to have only a small impact on broker volumes if the quantum of change is small. And as a result of all of these influences, we expect housing market to remain subdued, characterised by falling home prices, which may lead to further reductions in interest rates.